With a giggle, she dropped to a knee, I within her open hands, and offered me to the princess in jest. The princess gave the handmaiden a mock appreciative smile, pulled the maiden’s hands toward her lips, and gave me a kiss on the top of my head. With the silliness over, the handmaiden gently put me down, and the two disappeared down the path toward the castle, chirping and laughing. I lay by the side of the path for a long time, limp and exhausted. When I partially recovered and could hop again, I slowly jumped to my home in the root of the tree. I was trembling, and the ground beneath me was spinning! I could feel my frog body beginning to change. Here we go! Here we go! Then, there was nothing. Nothing! I did not turn into a prince. I slept. To this day, I do believe I began to change. After all, I did change from an egg to a tadpole, and then from a tadpole to a frog! What comes after frog? I figured this princess didn’t really need a prince at this time, and there was no faerie. The magic wasn’t there. At this moment, I did not know the princess and I would meet again, some day. I did decide to give myself a name. 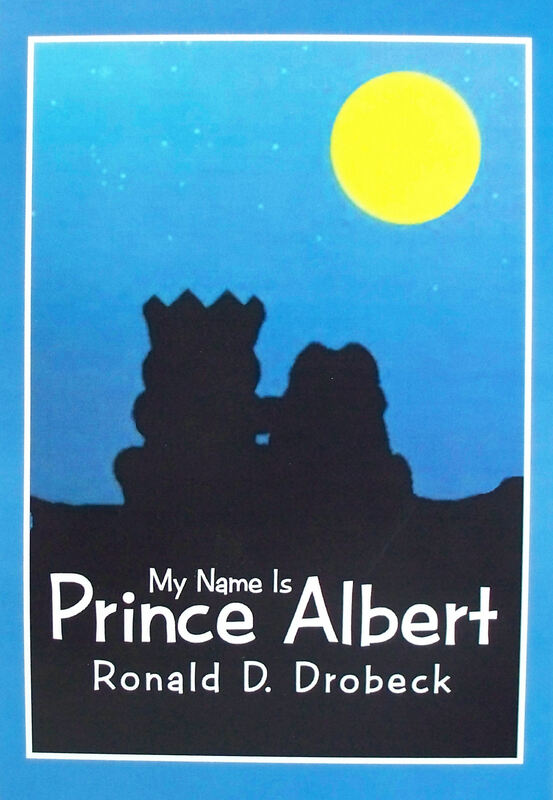 I now call myself “Prince Albert,” after the prince in the story. After all, I’m the only frog I know that has been kissed by a princess! Although I often thought of the princess, a second meeting with her scared me so! I’d watch from afar when she passed by with her handmaiden. Once in a while, I would watch from the other side of the path because I saw them when I was returning from following the flower scent I smelled when I first met her. I found the smell was coming from the other side of the path. It got stronger the farther I went. Each day I followed the smell as if being pulled. The smell excited me! I let it lead me. I was a willing adventurer. One day I went so far so long into the day that I could not get back to my tree root home before dark. As the light faded, I found a place where the haunting flower smell surrounded me. It became too dark to see, and the smell was making me sleepy, so I found a fallen tree and burrowed a nest in the leaves piled under its overhang and went to sleep. A very busy day! A very dreamy sleep! I dreamt of fast swimming, long jumping, the princess, and that flower smell. I slept so deeply, it took the midmorning warmth of the sun to wake me. I awoke suddenly, as if falling, and jumped up from my nest. I was standing in the middle of a ring of mushrooms and pale blue flowers! It was a faeries’ ring. This was a supersensuous sight, flooded with an equally supersensuous smell. These two senses were fighting to be the most overwhelming when a third sense heard a soft and clear giggle from over there. No, over there! Or over there! A faerie trick! It is sometimes hard to understand what your senses are telling you when you’re standing in the middle of a faeries’ ring. I believed I was about to meet the faerie ring’s owner. A faeries’ personal flower ring is a circle of enchantment. It belongs to the faerie that nurtured it. It is a very pleasant and passive trap for whatever ventures into it. The stupor produced by the sight and smell is a seduction. The only way to escape is to befriend the faerie or to become her enemy. To befriend a faerie is to become enchanted and have a friend forever. To become her enemy is to have an enemy forever. Misfortune and bad luck will befall you. Everyone knows, only a fool becomes the enemy of a faerie! “Yes, that is me!” I answered. “Why have you come to my faerie ring?” she asked. “I was following the flower scent. I fell asleep and woke up within your ring. I meant no harm!” I said. With this, Naomai reappeared as a normal, hovering faerie. I could hear her wings buzz gently as she came down to the ground close to where I was standing. Her fears about me gone, she wished to make me comfortable by turning down the glow and continue speaking at my eye level. “Are you ready?” Naomai asked.